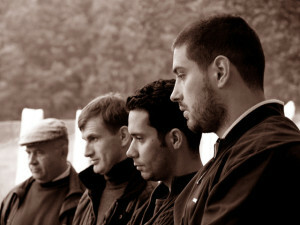 The Men’s Council is unique in its passion for providing men with a strong support network as an outlet for interaction, guidance, help and advice. Men are no longer on their own when dealing with complex issues. A support group is a group of 5 to 10 men committed to sharing events of our daily lives, the feelings stirred by those events, and the history behind those feelings. Support groups are not a substitute for therapy, but a place where we can be ourselves. All groups are expected to follow a set of Guidelines established by the Council. The only requirement for joining a support group is a genuine desire to join with other men in supporting each other’s life journeys. There may be some delay in placement pending formation of new groups and requests from existing groups to add new members. So you may decide to start a support group on your own. We are always willing to give men counsel on the process. And these guidelines can help you get your own group started and headed toward achieving a rich, meaningful give-and-take that makes the experience positive for all members. Giving and receiving truthful feedback is a skill that takes the individual time to acquire, and the group time to adjust and adapt to. Commitment – For the group to grow as a group, the regular attendance of every member is important. If an emergency prevents your attendance, let another member know ASAP. Before you quit your group, discuss it with the group and plan a session to say your good-byes. Closure in this matter is important. Confidentiality – Members and issues of the group are not to be discussed with anyone outside the group. Focus on Feelings – How you feel about an issue or event or person is more important than the logic. The group can help you express your feelings if you let it. Responsibility – Each member is responsible for his own behavior, thoughts and feelings. Each member is also responsible for asking specifically for what he wants from the group. Any Member May “pass” – Anyone who is uncomfortable or unwilling to participate in a given conversation may “pass” without having to explain. Be Here Now – Remain as much as possible in the present. With the help of my long-time men’s support group, we have been able to help several local men’s support groups get started. This is a description of the method we have used with great success. So far, all of the groups started this way have continued to flourish and provide safe places for men to share inner work. It is always easier to place a man in an existing group, but when all groups are closed, I collect names toward the formation of a new group. Until recently, over two years were needed to collect enough men to start a new group. Either through the growth of Charlotte’s network, or as a result of more men seeking brotherhood, this process has accelerated to about a year. The men’s groups that I am involved with are very private and usually closed. Forming a new group requires an existing group to be willing to allow twelve to fourteen new men to participate in four of their meetings. At first this seems to be an intrusion into a safe and sacred space. What the host group soon finds out however, is that they are more than able to create a safe container and model sharing from their hearts. We are often blown away by how quickly we grow close to these new brothers, and how little time is needed for the trust to grow. What starts out seeming like an imposition, turns out to be energizing and inspiring to the group willing to host the new group. Many of us realize how big the impact of our own group has had on our lives, and knowing that we are helping with the birth of a new group gives us all a boost. Many of the men who ask to be in the new group have never done men’s work before. For some it is like finding their tribe after a long search. For others, it is a painful experience that they are reluctant to invest in. There are many reasons that a man might withdraw from the new group. This attrition requires that we start with twelve to fourteen men. Even if half of them choose to leave, there is still a strong core, and the group will survive. All men carry wounds. Our wounds we find, become the gifts that we bring to our groups and our world. Some men carry wounds however, that are so deep that individual work needs to be done first before the man can benefit from group work. Very few of our peer led groups have men who have had the training necessary to be able to help a deeply wounded man without the energy of the whole group being pulled into his healing. The men’s support groups that we have formed and are forming are for men who are basically emotionally healthy. It is tricky, and perhaps a slippery slope to identify which men carry these energies. Many of us know and have experienced how destructive one person can be within even a strong established group. By meeting and talking to prospective new men, and by inviting them to open visitors’ meetings, we get a chance to sit in circle with them a few times. Usually a man’s motives become clear quickly in sacred space. There is no easy way to ask a man to leave a group, but it is easier to form a new and initially fragile group without him. As I collect names (over a long period of time) toward the new group, I continue to stay in communication with all of them. I let them know how many men are now on the list, and I make sure that they have access to attend open visitors’ meetings hosted by the two groups that I am in. These open visitors’ meetings are really important. They give us all a chance to get to know these men, and it gives these new men a chance to “dip their toes” into men’s work without any commitment. Additionally, it gives these men access to the “gold” while the list grows enough to launch the new group. I salute the groups that allow visitors to some of their meetings. The new group attends four meetings with one or two established groups (I feel a lot of gratitude toward any group that is willing to host the new group). The new group finds a meeting space, establishes meeting times, and chooses a couple of men that carry some “warrior archetype”. There needs to be a couple of men who will take on this role in the beginning, but will be able to let it go once the group gels. These men are willing to set up the group contact list, contact each member before a meeting and, if a man disappears, reach out to find out why. Some members from the host group will attend the new group for four meetings. The continuity that this brings really helps the new group get their feet under them. Norms are discussed, rituals are reinforced, and the new born group doesn’t feel abandoned. The new group will establish their own agendas, rituals, and norms, but this step helps them get started. The new group is made aware that members of the host group can be available to help at any time in the future if requested. 6:30-7:00 Drumming allows for men to arrive to the sound of drums, creates an arrival window of thirty minutes, and provides a chance for non-verbal communication. The drumming also “clears the space”. Men who like to drum come at 6:30. Men who do not like to drum come closer to 7:00. 7:00 sharp. We circle, light a candle, state some intention, and put our voices into the circle in the form of an om. Some men are allergic to ritual. Others thrive in it. We have found that this simple ritual allows us to transition from mundane space to sacred space. It becomes the line between these spaces, and helps form the container. Business: Here we discuss the many things associated with running any organization. This is also a time to get agreements of confidentiality from any new men, and discuss upcoming events, norms, and financial stuff if needed. A reading or poetry offering: A powerful and soulful way to help us transition deeper into sacred space. It is good to encourage all men to keep an ear out for readings or poems to share. Meditation: Our group uses a sand timer that offers about four to five minutes. Sometimes a brother will guide us, other times silent reflection and breathing together. Headlines/Declaration of presence: Each man declares that he is present (or not able to fully be), and offers a simple headline of very few words. 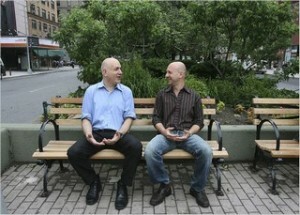 This gives a chance for the group to discover if a particular man is in need of greater group focus. Check-ins: Each man has uninterrupted time to share from his heart. There is a skill to checking in with words that share our inner process, passion, conflicts, inquiries, love, anger, and challenges as men. There is a skill to listening that can be developed and encouraged here. The sand timer seems to be important here. Without giving the timer too much power, a man can see that he has had the group’s attention for more than his share of time. It is easy for one to lose track of time in sacred space, or while sharing deep stuff. Without some guide, one man can use up so much time that there isn’t enough time for all to share. Feedback: Not all men’s groups participate in or take time to offer feedback. Not all men want to receive feedback. By nature, men are fixers. We hear of a brother’s struggle, and want to help him fix it. We may even see clearly just how he can fix it. Offering advice may be another of our strong inclinations. Coming to the rescue of a brother that is experiencing inner conflict is a powerful pull. Our own life experiences often cause us to project our human experience on to the brother that we are offering feedback to. Feedback can be a powerful way for a man to receive collective group wisdom. There is a way of offering feedback to a brother without fixing, advising, rescuing, or projecting your stuff. It takes practice and the ability to speak of only your inner experience and reaction to his shared words. In essence, your feedback to your brother is really about you. It is amazing and powerful how much we can get from our brothers sharing their reactions to our check-ins. 9:00 Closing Circle: We all have lives outside of our groups. We have found that it is important for there to be a committed closing time. If there are words that need to be shared, men can stay afterward. If there is a conflict, handle it within the circle before closing. We circle, perhaps bring the names of others into the circle, then put our voices together into an om. Marcos, Jack, Robert, Robert, Michael, Steve, Jim, Ravi, William, Greg, Jean, TB, Derrick, Eric, Danny, David, John, Tom, Tom, Micky, Otis, and Peter. There are currently a select number of support groups holding regular meetings. For additional information, please contact the Triangle Support Group Coordinator, Doug Jennette, Group Coordinator. New groups are forming all the time. If you’re interested in the possibility of joining an existing support group or one that is forming, contact Jarod Brown. If you’d like information about what’s going on in the Boone area or interested in the possibility of joining an existing support group or one that is forming, contact Bob Cambron. Looking for Members for your Support Group?